In order to secure funding towards staff wages for 2019/2020 we are required to submit a business plan to Pobal. The original date for this submission was June however we have formally requested an extension to this date and we have applied to Donegal Local Enterprise Office (LEO) for independent professional support. It is still not known whether we will be allocated support from the LEO and so work on the plan is ongoing to meet the new August deadline. We have three volunteers now helping out at the centre and one young gentleman coming over from Germany to volunteer during the summer. A local family have offered to provide bed and board for his stay and we are hoping to develop our German offering while he is with us. 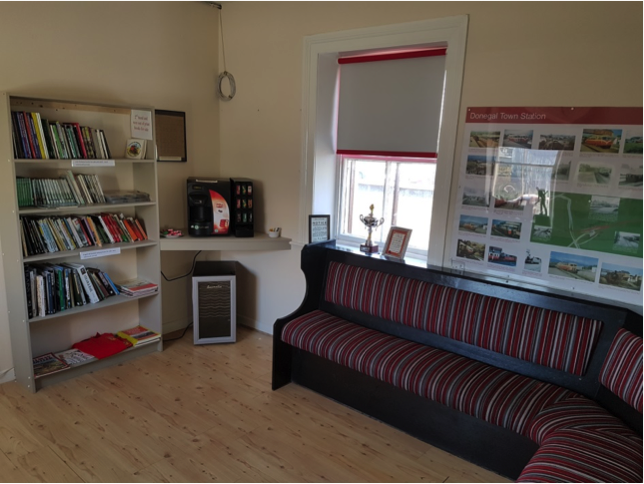 We have made contact with Donegal Volunteer Centre and we will be looking to secure more volunteers that can act as tour guides and help out at events. Work is ongoing in relation to returning the Weighbridge Hut to the diamond. We believe this would be a very useful tool to signpost people down to the centre from the diamond, act as a meeting point for tours and provide a range of information about local service providers. We have contacted Donegal County Council in relation to having a painted line on the footpaths linking places of cultural and heritage interest in and around the Town. 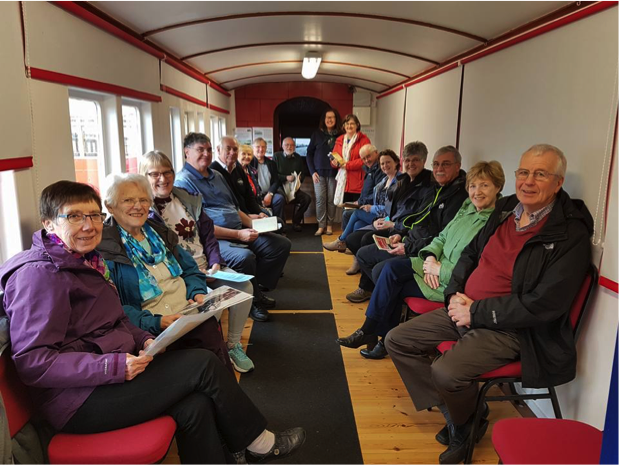 On the 3rd May, Railcar 15 hosted a reminiscence event as part of the Bealtaine festival. Caroline Carr from Donegal County Museum and Niamh Brennan County Archivist brought along items from their collections and there was lots of laughter and a few tales told on the day. Feedback was excellent and everyone seemed to thoroughly enjoy the event. We are hoping to organise another event during the summer. 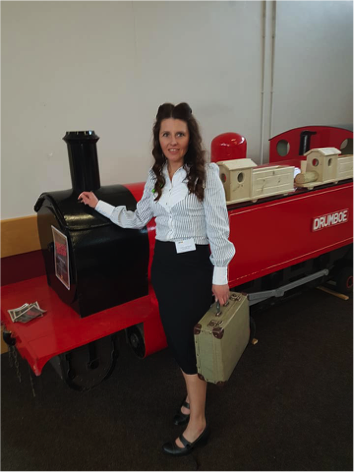 We have a school tour booked in June and we will be linking with Bricks4Kidz to trial an event that we can roll out to all schools in the future. 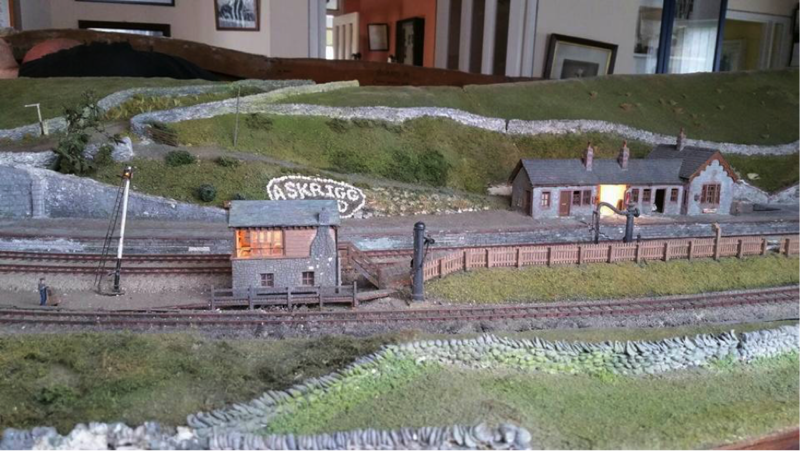 The Askrigg Bank Layout was donated to the organisation a number of years ago and up until two weeks ago is was in storage. We moved this piece to Glenties Museum in the hope the visitors could view and enjoy the piece however give n its size we have been asked to remove the layout as it is taking up too much space. The dimensions needed to be able to display and view this piece would be 26ft x 16ft. This is a highly detailed, intricate layout that travelled to numerous shows in the UK and Ireland and won a number of prestigious awards. We are looking for somewhere to house this piece, preferably where the public can view and enjoy it, please let me know if you have any ideas. We exhibited at the Communities at work event on Saturday the 14thApril in the St John Bosco Centre. This event was organised by Donegal South Forum and Donegal Local Development Company. 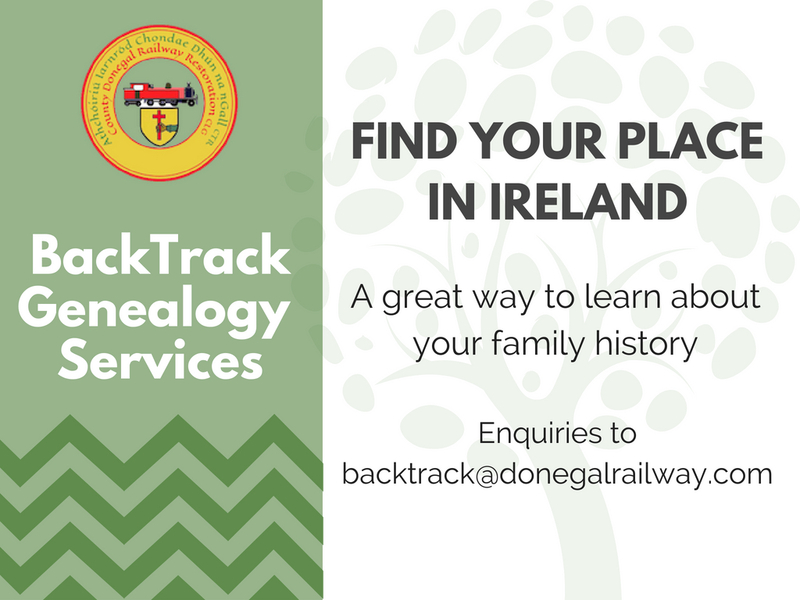 We also exhibited at a Bundoran Tourism networking event on the 24th April and the Vintage Day at Trummon. DLDC have arranged customer service excellence training for staff and more training is to be scheduled for later in the year. Our vintage car and tractor run is planned for the 17th June. The event will start at with registration at the St John Bosco Centre, Donegal Town and finish at Biddys O’Barnes where refreshments will be available. A new national day of creativity for children and young people, Cruinniú na nÓg takes place on Saturday 23 June 2018. Cruinniú na nÓg aims to celebrate and encourage children and young people’s participation in culture and creativity through a mix of performances, demonstrations, coding, theatre, workshops, readings and screenings, special events and much more. This variety of events for young people will be free and activity-based, with plenty of opportunities for young people to get doing, making and creating. We submitted a proposal to Donegal County Council for funding to run an event as part of Cruinniú na nÓg. This will see us link up with the FabLab Ballyshannon to deliver interactive workshops with the aim of sparking an interest in culture and heritage by integrating history with modern technology and educating through creativity.